There are a number of ways to get around our store. At the left On-Line Store Navigation Bar you will find all of the department headings which are similar to our catalog, and our brick and mortar store layout. Clicking on the name will open the department. The larger departments will have different categories. Continue choosing categories until you find a specfic item.. The "View Cart" symbol at the top right will always keep you informed of your developing order. You can pay right here with a credit card, or you can generate a mail-in order if you want to pay by check or money order. 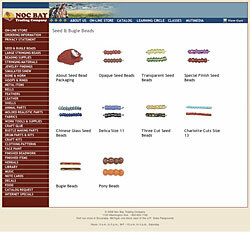 Clicking on Ordering Information will answer your questions about how we handle your order here at Noc Bay. First time users should always read that page. The Site Navigation Bar on top helps you move about and into educational areas; including our Learning Circle instruction sheets, and our instructional videos. 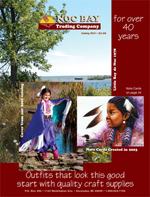 Our printed catalog is available on our Catalog page or download our complete catalog.